Seychelles 14th September 2018 – Seychellois children will now be better protected against diseases caused by Pneumococcal bacteria such as Pneumonia, Meningitis and infection of the blood and middle ear. This was announced by the Minister of Health Honorable Jean Paul Adam, following the official launching of the introduction of the Pneumococcal Conjugate Vaccine (PCV) into the country’s routine immunisation programme on Tuesday 11th September 2018. Addressing senior officials of the Ministry of Health, nurses and a number of parents at the ceremony at the English River Health facility, Minister Adam said the introduction of the vaccine into the country’s routine immunisation schedule is a sign of the Government’s on-going commitment towards the health of its citizens. 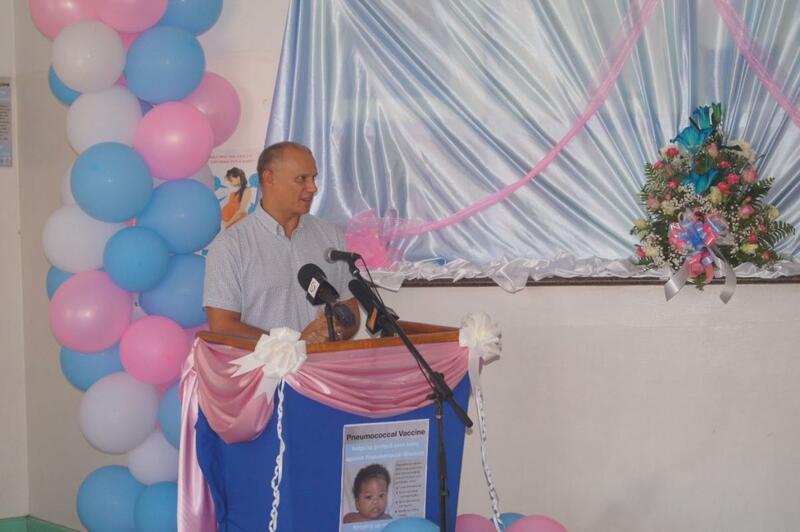 Minister Adam highlighted the importance of immunisation as one of the most cost effective ways to deliver results in any health system and reiterated the fact that introduction of the PCV will drastically reduce the pediatric admission in the hospitals and improve the quality of life in Seychelles. Making reference to global targets to reduce neonatal mortality, Minister Adam said that PCV administration will also pave the way for the country to continue on the right track to achieve SDGs 3.2 aiming to end preventable deaths of newborns and children under the 5 years of age. The introduction of PCV in the country’s expanded programme on immunization is in line with recommendations of the World Health Organisation (WHO) which supported the development of the PCV introduction plan in 2017. 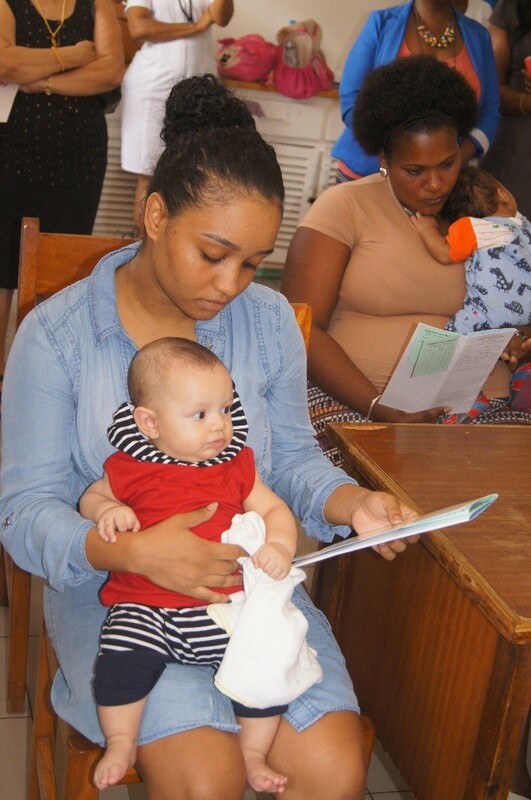 The WHO has also supported capacity building of nurses which took place end of August 2018 and the development of information, education and communication materials for parents. For this first year of introduction, the Government has invested over 4 million Seychelles rupees to procure the vaccine and supplies. The PCV will be given to babies in 3 doses at the age of 3, 4 and 5 months and going forward, it is expected to further improve the countries child health indicators including neonatal mortality rates which stood at 10.9 in 2017.